Born: February 21, 1961, in Verona, Italy. Education: London School of Business, MBA, 1993; University of London, MSE, 1993. Family: Daughter of Lorenzo Cico and Francesca Provera; single. Career: Italtel, 1987–1992, representative of Beijing (China) office; IRI, 1993–1994, representative of Beijing office; Stet International, 1995–1999, international director of business operations; 2000–2001, telecommunications consultant for several companies; Brasil Telecom, 2001–, CEO. Awards: Executive of the Year, Associaçāo Nacional dos Executivos de Finanças, Administraçāo, e Contabilidade, 2002; Businesswoman of the Year, British Chamber of Commerce in Brazil, 2002; Global Influentials, Time , 2002; Best CEO in Telecommunications Sector in Latin America, Reuters Institutional Investor Research, 2003; one of Fifty Most Powerful Women in International Business, Fortune , 2002 and 2003. Address: SIA Sul, ASP, Lote D, Bloco B, 71215-000 Brasília, D.F., Brazil; http://www.brasiltelecom.com.br. ■ In March 2001 Carla Cico became the CEO of Brasil Telecom (BrT). A native of Italy, Cico led the formation of a consortium that won the bidding for the company that operates in nine Brazilian states and the Federal District. She was the first woman to serve as chief executive of a telecommunications company in Brazil. Based on her vast experience dating to the 1980s, Cico came to be regarded as one of the world's top telecommunications executives, as evidenced by her numerous awards and distinctions. Venice, where she received a degree in oriental languages, specializing in Chinese. In 1984–1985 her language studies took her to Taiwan, where she studied at the Normal Superior University under the auspices of a scholarship from the Taiwanese government. During the 1980s and 1990s Cico managed a number of Italian telecom ventures in China. From 1987 to 1992 she supervised Italtel projects in Beijing. She was also responsible for accessing new Asian markets, such as Vietnam, Thailand, and the Philippines. Cico continued to work in China until 1994, serving as resident manager for Chong Quing and as principal representative for IRI in Beijing. 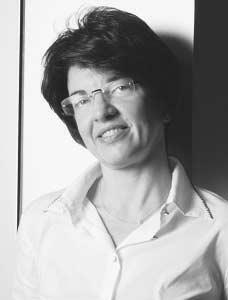 She then returned to her native Italy to work for Stet International from 1995 until 1999. As international director of business operations, she was responsible for finding investment opportunities in Asia, South America, Eastern Europe, and Africa. Cico's experience had a great influence on her future professional career. She noted that the most relevant person in her business life was her first boss, Idalgo Macciarini, with whom she worked during her first two years in China. He gave her focus and showed her how to approach problems, skills that she used to good effect later in her career. The BrT CEO's extensive international experience quickly became an asset in the business world. She told NYSE Magazine that "in the beginning it was a coincidence, but afterward my diverse background became a skill" (July/August 2002). It seemed to her that working with telecommunications in New York was different from working in China or Brazil. Cico, who had a facility with languages, became fluent in four languages besides Mandarin Chinese. She also discovered that the ability to adapt was invaluable. She told the Chief Executive , "Either you adapt or you pack up and go back to a more comfortable life" (February 2002). Cico believed that telecom executives must learn from the mistakes of the 1990s, when too many in the industry were concerned only with short-term results. Instead, she insisted that telecom companies must plan for long-term growth. To achieve this goal, she consistently cut costs to boost efficiency. Cico was known for pushing her managers hard and deploying capital wisely. Her strategy showed concrete results in her first year at BrT, as revenue increased by 65 percent. Cico and BrT gained recognition in the area of corporate governance. Industry analysts acknowledged that BrT strictly complied with good corporate governance practices, often a rarity in the Brazilian telecommunications industry. Indeed, BrT is the only Brazilian telecom in the Level 1 of the Sāo Paulo Stock Exchange's (Bovespa) corporate governance best-practices program. Cico told Institutional Investor that this recognition "demonstrates our commitment to transparency. We were again pioneers. Brasil Telecom is the only company in the sector to be part of this differentiated segment of corporate governance" (September 2003). Cico looked to attract and continue to train good managers for BrT. She developed a summer internship program to find the best graduates with MBAs from around the world and encouraged her managers to take language-training courses. Furthermore, she believed in creating a culture of quality and competence, often through a job-rotation program. Cico believed in creating good leaders, rewarding those who performed well, and empowering workers by giving them a degree of autonomy. She also emphasized that companies must offer fair and competitive pay to keep good managers. Cico brought the attitude of a well-trained athlete to the business world and thought that her company should contribute to the quality of life of its employees. Thus, BrT provides health-related programs, health clubs in the workplace, and preventative medicine programs. The BrT president practiced what she preached, having run in the New York City marathon with several of her employees. Cico explained to Time that "it promotes discipline, preparation, focus, team culture" (November 30, 2002). She also encouraged the company and its workers to become involved in the local community. Such involvement, she thought, reinforced good citizenship, ethical behavior, and solidarity. See also entry on Brasil Telecom Participaçoes S.A. in International Directory of Company Histories . Hanson, Jennifer, "Carla Cico's Circuit," NYSE Magazine , July/August 2002, pp. 40–41. Padgett, Tim, "Carla Cico: TIME 2002 Global Influentials," Time , December 2, 2002, p. 55. Sherwood, Sonja, "Brasil Telecom's Cultural Iconoclast: Career Path Less Traveled," Chief Executive , February 2002, p. 6. Yolen, Steve, and Tom Murphy, "Profiles of CG Programs in Brazil," Institutional Investor , September 2003, pp. 20–26.